It’s the year of Alice in Wonderland! A few months later from the launch of the Marc by Marc Jacobs Alice In Wonderland capsule collection, Olympia Le-Tan also treats us to a magical and colorful Alice in Wonderland accessory line that is already available for purchase on LouisaViaRoma.com. 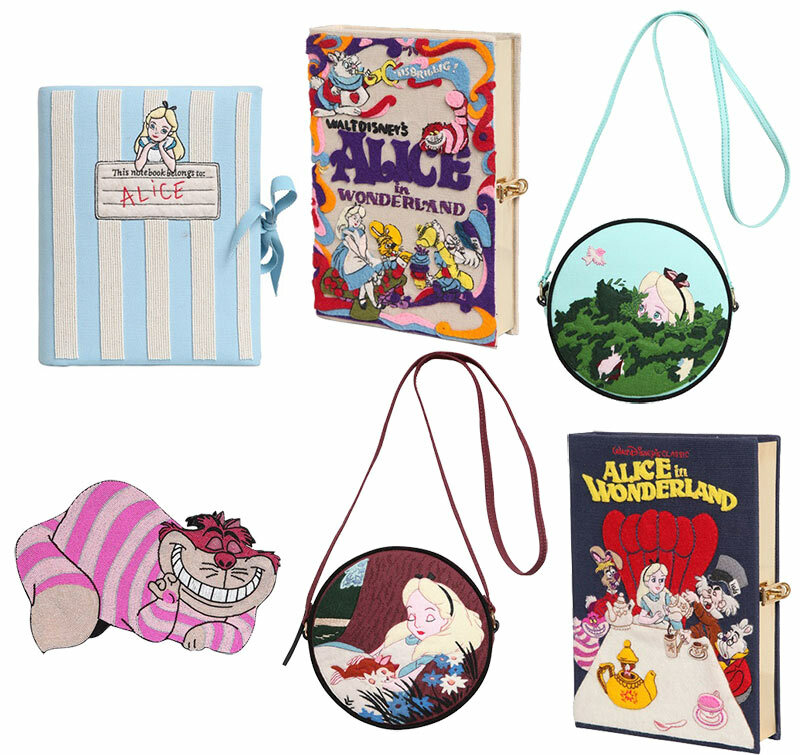 Disney has, in fact, teamed up with the renowned French accessories label on a dreamy capsule collection, which creatively combines an eccentric vintage style with hand-made embroidery designs taken from various scenes and characters from the famous Alice in Wonderland cartoon. Marking its 150th anniversary, Alice’s Adventures in Wonderland by Lewis Carroll’s story is thus also celebrating its huge success in the fashion industry. As for Olympia Le-Tan, the French label is making a great success too. Known for their one-of-a-kind embroidered clutches, Olympia Le-Tan was founded in 2009 by Le-Tan herself and Grégory Bernard. Since 2012, mainly thanks to its book-like clutches that made almost every celebrity go crazy, the company has expanded into ready-to-wear, quickly becoming one of the most acclaimed emerging fashion houses. Moreover, thanks to her cosmopolitan style (Le-tan was born in London, but then raised in Paris, in a house full of books), the talented fashion designer makes it possible to create timeless pieces that will wake up the inner child of any person wearing her creations and carrying her bags. Olympia Le-Tan has a long history of creating Walt-Disney-inspired animated movie-themed capsule collections, which often feature limited edition pieces that are quickly sold out. So far, the brand has launched Peter Pan, Aristocats, Sleeping Beauty and Snow White themed line-ups. Each one of these collections, including Le-Tan’s latest one, feature round shoulder bags, book-minaudi‚Äö√†√∂¬¨√Üres and vintage book clutches, all embellished with hand-made embroideries. The Olympia Le-Tan x Alice in Wonderland 2016	collection, the price tags of which range from ‚Äö√Ñ√∂‚àö√°¬¨¬Æ790 to ‚Äö√Ñ√∂‚àö√°¬¨¬Æ1750, features the French house’s most appealing items, including a set of 2 rounded shoulder bags ” one in light blue and one in burgundy that depict one of Alice’s most famous scenes from the movie, namely the young protagonist sleeping under a big tree ” 3 vintage book clutches and a Cashire Cat clutch. One of the book clutches resembles Alice’s fictional notebook and it’s probably one of the cutest things you have ever laid your eyes on. Coin pouches and squared hand bags might help instantly add a big dose of cuteness to your day-to-day and special looks too. And that’s exactly why this capsule collection is rife with perfect gifts for a friend, beloved one or even for yourself. It features elegant yet unconventional unique pieces that could appeal to everyone, from 12-year-old girls to grown up women.